Powder coating has become common metal surface coating method. The purpose of coating surface by this method - easiest and cheapest technique to achieve a steady, smooth and sufficiently thick coating layer on the detail. About method: color powder sprayed on the detail surface in the electric field and then it heated in an oven at 200° C for 15-20 minutes. Powder paint polymerization takes place and a high quality coating surface will be formed on the detail. It's possible to use zinc powder as a basic paint layer under colour layers to increase the corrosion resistance of the product. 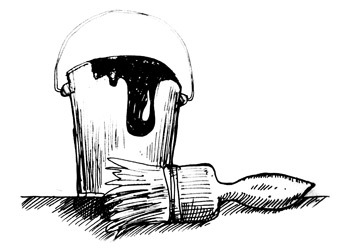 Powder paint contains no solvents and this coating method is environmentally friendly. 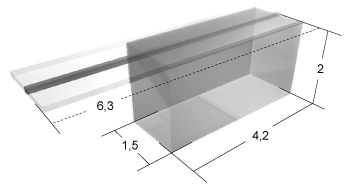 2 x 1,5 x 4,2 m.
The length of the oven with an extension module L=6,3m. You can choose the colors by RAL-Colour Catalogue.